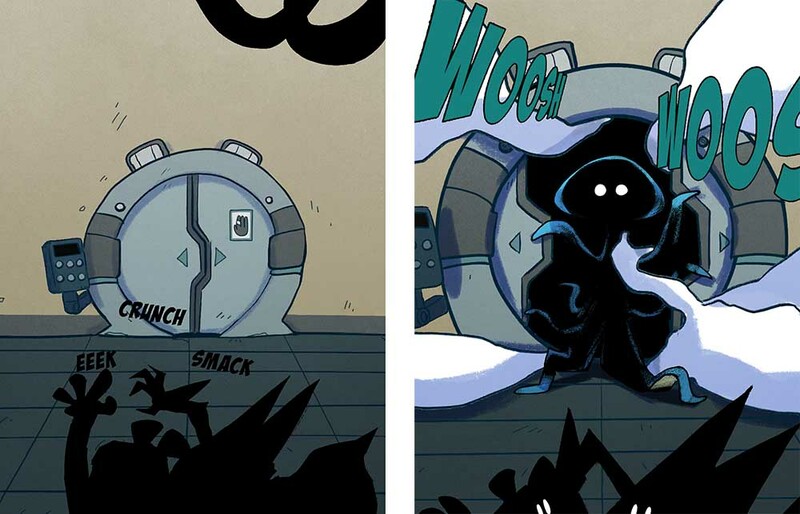 Follow the colorful crew of ‘the Whale’ venturing into insane situations in this action packed intensely animated sci-fi comedy adventure comic. From the creators of Protanopia comes RRR – a revolutionary digital comic for tablets and phones. The comic is built with a game engine. Combining 3D and 2D animation that lets the reader control the camera, RRR delivers a unique reading experience. 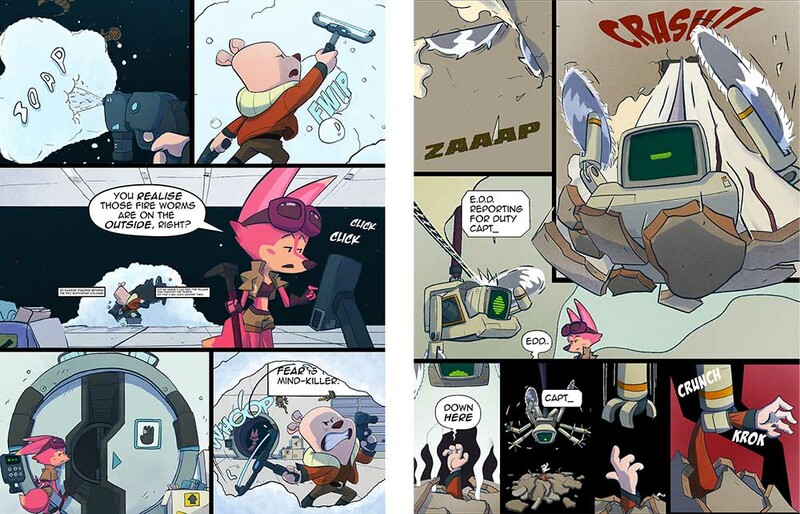 In the first issue of RRR we follow the colorful crew of ‘The Whale’ in 30 action packed, intensely animated comic pages.The story is a dynamic mix of sci-fi, comedy and adventure. Patreon supporters receive access to unique making-of content and more. Born in the swamps of the Netherlands, he was raised on a steady diet of comics, games and animation. And still shows no sign of having had enough. He has a beautiful name that rhymes. He has lived in Bangkok for 33 years and has worked in the animation industry for more years than he’d like to admit. Bergs and Chunhachai form the digital comic studio Plastiek.